Mobility, Safety & Security, Connection as well as Well-being & Health: these are the central areas in which we tirelessly search for the answers to the big questions of the 21st century. How are we to feed around 10 billion people on the planet in 2050? How does urban living and traffic work if 70 percent of people live in cities? How can we save our vital resources? And how can we ensure data protection and access security in a digital world? 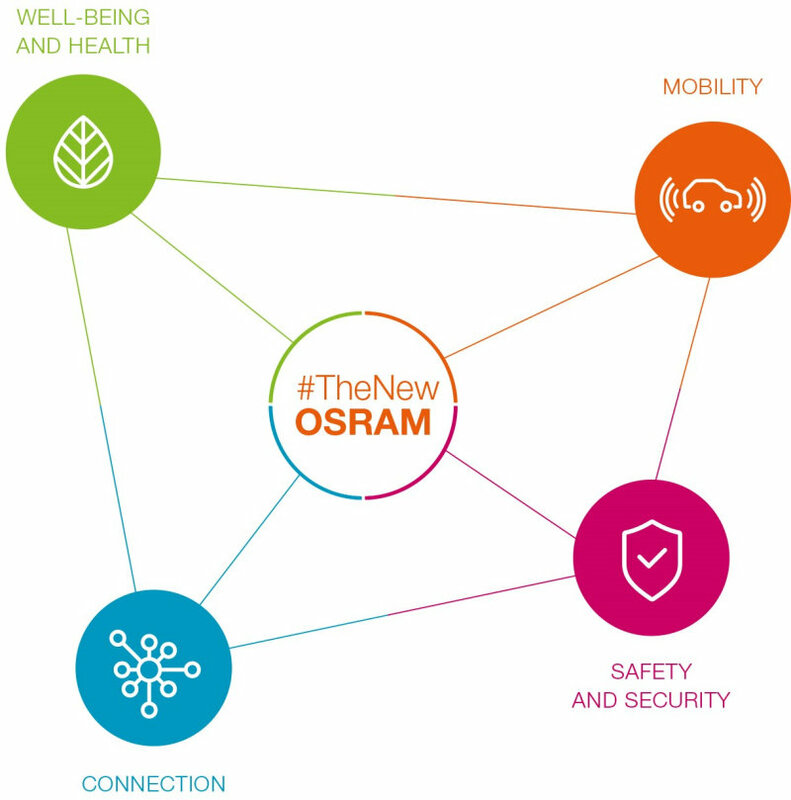 OSRAM makes a key contribution to resolving the problems of today. Our products and services will help people to see better, communicate better, move better, work and live better, now and in the future. Improving people’s lives has always been what drives us: since the introduction of the first electric light almost 100 years ago, we have been making our cities better places to live in. With our first car headlights we ensured greater safety in road traffic early on. Thanks to our products, projectors made movie theaters a place where people could come together. And with the first therapy lamps we were contributing to people’s health way back in the 1930s. Light used to be mainly about illumination. Today, digitalization opens up a variety of new possibilities extending far beyond a simple “On” and “Off” of light sources. Today we turn light into more than illumination – we now use the seemingly endless possibilities of light to improve people’s lives. Today we are #TheNewOSRAM. OSRAM is evolving from the leading lighting producer to the high-tech champion of photonics. Photonics covers the entire technological range of visible and invisible light. Our high-quality LEDs, for example, are used for visualization in automotive applications. We supply infrared and laser light for sensing, as the basis of autonomous driving or face recognition in smartphones, for example. And with lighting solutions for the treatment of plants we promote optimum growth. Our technological possibilities seem virtually endless. Mobility: With light, we make driving easier and safer. Safety & Security: With light, we protect people and their data, both online and offline. Connection: With light, we connect people and technology to their environments. Health & Well-being: With light, we help improve the health and well-being of a growing population. Light is a source of vitality, and we explore this energy to allow people to live healthier lives. This includes designing suitable lighting for increasing productivity and the enjoyment of life. As a result, our lighting technologies help protect and maintain good health, create new ways of accessing medical support, and make it possible to live self-determined and confidently. 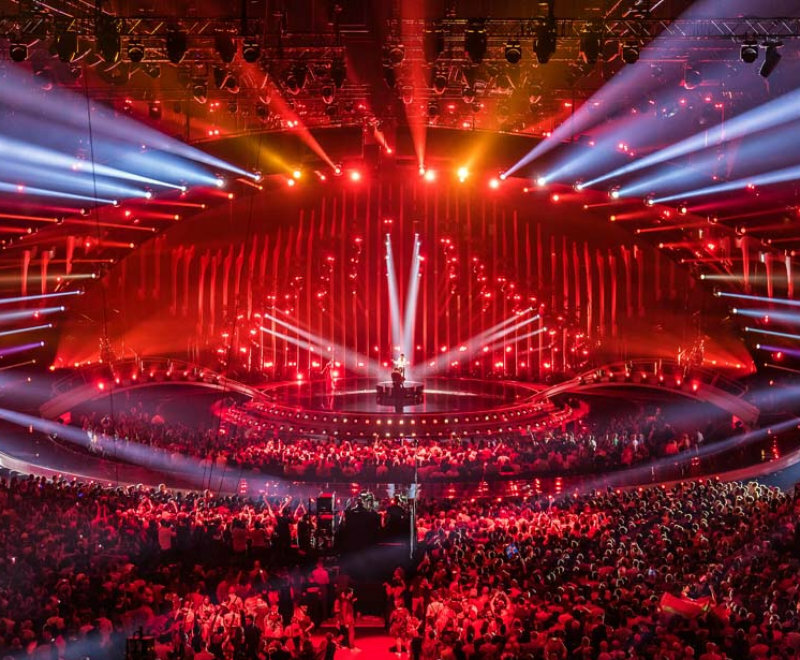 Light is a key technology for safety and security – for example for personal data, for road traffic, and for emergency ­services and the security sector. Invisible light provides security in access technologies. Visible light provides safety on the roads and in cities. With light, we are helping businesses, authorities and citizens to increase safety and security. We enable convenient and safe travel, as the volume of traffic continues to grow. Technologies developed by OSRAM provide the basis for efficient traffic guidance systems, self-driving cars, vans, and trucks, and also ensure that logistics operations improve in tune with global requirements. We enable transport to run smoothly, even in the most crowded urban centers. We turn light into the carrier of communication for a modern society. Our ­technologies provide people with the best possible experiences and ideal conditions for living, working, and learning – wherever they are. We are driving interconnectivity and the Internet of Things forward by enabling smart applications to be run on existing infrastructure. OSRAM, based in Munich, is a leading global high-tech company with a history dating back more than 110 years. Primarily focused on semiconductor-based technologies, our products are used in highly diverse applications ranging from virtual reality to autonomous driving and from smartphones to networked, intelligent lighting solutions in buildings and cities. In automotive lighting, the company is the global market and technology leader. Our identity is shaped by a long tradition of innovation in the field of lighting technology. 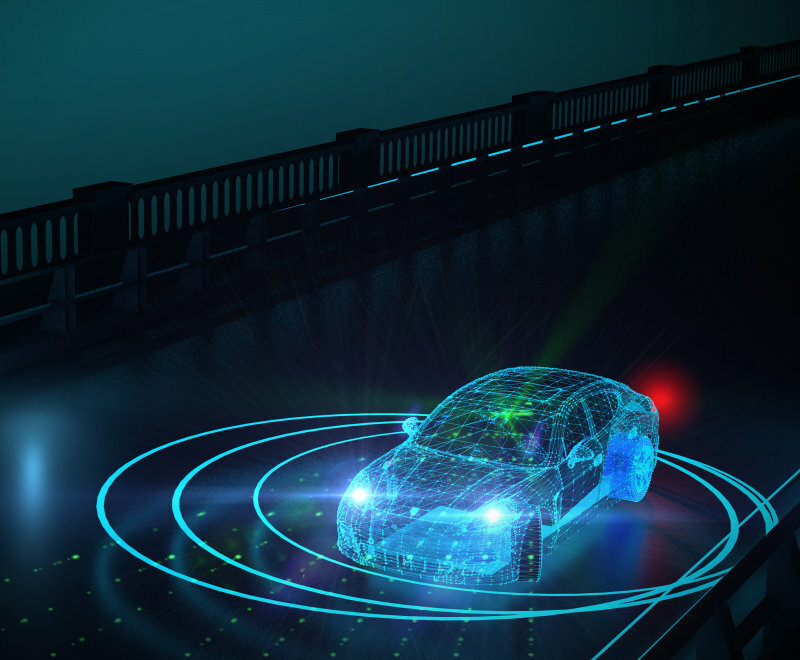 Be it with laser light for automobiles, increased security thanks to iris recognition, or intelligently connected lighting, we are shaping the future with all kinds of solutions in the areas of visible and invisible light. OSRAM utilizes the infinite possibilities of light to improve the quality of life for individuals and communities. OSRAM’s innovations will enable people all over the world not only to see better, but also to communicate, travel, work, and live better.